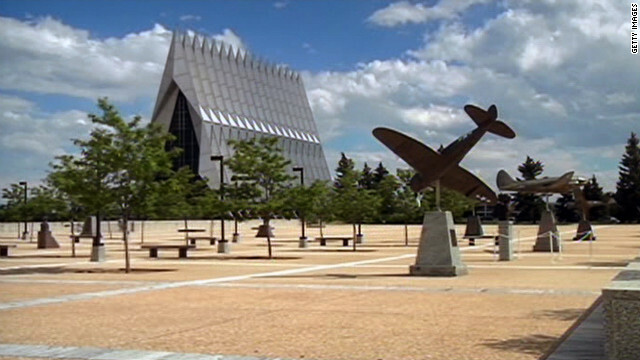 The Air Force Academy has made a big change to its honor code to reflect religious diversity. (CNN) - The U.S. Air Force Academy has decided to make phrase "so help me God" optional in its honor code after an activist group protested that requiring all cadets to recite it violates their rights. The complete oath reads: "We will not lie, steal, or cheat, nor tolerate among us anyone who does, so help me God." Cadets are required to recite the oath when they complete basic training. It is also taken by the entire cadet wing each year as re-affirmation of their commitment to the honor code, said AFA spokesman Major Brus Vidal.